Dandruff is a condition that can be really irritating. It could be a minor issue at first glance, but it can cause great problems in numerous cases. For this, you need to opt for the best remedy that suits your case and personal needs. In this article, we are going to discuss dandruff shampoos and provide some reviews on the five best dandruff shampoos in the market. Read on and take note of each helpful detail for you. Be in the know of the root cause of your problem. This is the most important thing to do before actually choosing an item in the market. Take note that there are products that are formulated to solve particular problems. Even if you find a really good brand, it may not work well if you are trying to solve the wrong problem. Take a look at the ingredients. Ingredients are there to counter the problem, if not to solve it. If you have already identified the cause of your dandruff, it becomes easier to look for the ingredients you need. For fungal causes, the most common types that focus on it are Zinc Pyrithione, Selenium Sulfide, Ketoconazole, and tea tree oil. For buildup causes, salicylic acid and coal tar will be more helpful. There are other materials used in shampoos, but these are the ingredients that are important to remember. Determine the type of shampoo that you prefer. There are two types of shampoos in the market: organic and inorganic. The most commercially available are the inorganic types. They may contain strong chemicals. If you don’t like too many chemicals applied on your hair, you may opt for organic types. Both organic and inorganic shampoos have many variations to accommodate different types of hair. These are the main things you should do when searching for an anti-dandruff shampoo. There are many more effective tips that you may want to follow and a lot more factors that you need to consider. Continue to educate yourself and be a responsible buyer if you are serious about making the right choice. Here are five of the best anti-dandruff shampoos that you can find in the market. Take a close look at each product and decide what’s best for you. 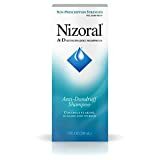 Nizoral A-D Anti-Dandruff Shampoo may be a good buy for you if you are looking for a gentle product that works well with each type of hair. It has numerous benefits that you may want to check. It is a pearlescent luxury shampoo. It is especially formulated to fight dandruff outbreaks. It contains 1% Ketoconazole that specifically deals with itching, scaling, and flaking. It produces a thick and rich lather. Users are advised to use it twice a week in between regular shampoos. It works specifically great in fighting outbreaks. Containing 1%, ketoconazole a proven dandruff-fighting ingredient, it is a reliable product that could truly help solve dandruff problems. The ingredient also works with the natural protein of your hair. It suits most types of hair, including that which is gray, color-treated, and chemically processed. It is gentle on the hair and scalp. It has the capacity to deal with the root cause of dandruff; it can kill fungi. Its thick and rich lather has the capacity to thoroughly clean hair and scalp and leave them smelling fresh. Because it only requires you to use it twice a week, it gives you the freedom to use other shampoos in between. Apart from eliminating dandruff, it can also make your hair shinier and more manageable. It also adds body to your hair. It does not dry out hair. Even a small drop can work well. It is also safe to apply on the forehead and face, and effectively solve skin problems in those areas including acne. It has the tendency to cause hair and skin problems when used the wrong way. Make sure to closely follow directions for use. Nizoral is a popular dandruff shampoo that has been in the market for quite some time now. 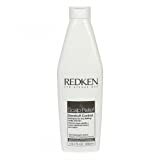 Over the years, it has earned a positive reputation in the industry due to its good performance and salon-tested ingredients. And what’s great about this product is that it’s gentle on one’s hair and scalp despite the fact that it effectively fights and kills fungi that causes dandruff. Moreover, users with other skin problems including acne can also benefit from the product. They can even use it on their faces. It also smells good and does not leave the hair and scalp dry. However, the product may be relatively costly. Users should also take note that following directions for use is a must because failing to do so can lead to adverse happenings. 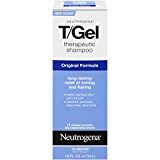 If you are searching for a product that can solve various scalp problems, you may want to take a look at Neutrogena T/Gel Therapeutic Shampoo. It also comes with numerous benefits for its users. It comes in a 16-fluid ounce bottle. It specifically deals with dandruff, psoriasis, and seborrheic dermatitis. It uses a rich, amber formula that cleanses the scalp and relieves flaking and itching. It provides complete scalp therapy. It is formulated to work long after rinsing. It serves various purposes, from treating dandruff to solving other scalp problems, thus, providing complete scalp therapy. It benefits users dealing with different problems. It provides more protection and convenience to users by working long after it is rinsed. Its effectiveness is scientifically proven, which in turn proves its reliability. It has the capacity to thoroughly cleanse the scalp while fighting scalp problems. It contains coal tar, which is an FDA-approved ingredient. It works fast and can provide instant results. It can fight even severe symptoms. While it is strong enough to eliminate scalp problems, it is likewise gentle on the skin. It is gentle enough to be used daily. Its smell may not be that pleasant for some users. It is not advisable to expose the scalp or skin to sunlight when using it. Doing so may increase the tendency to sunburn. It tends to dry out hair. Although rare, it has the tendency to cause discoloration of blonde, gray, tinted, or bleached hair. Neutrogena is among the popular beauty products in the market. From moisturizing the skin to treating different problems, the brand has proven its good-quality work. As for working as a dandruff shampoo, it is doing a great performance too. 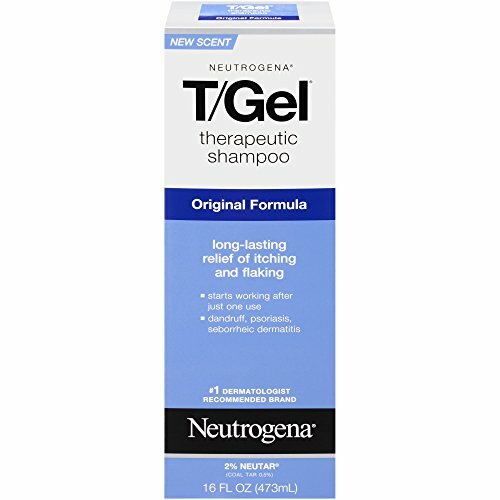 Neutrogena may be strong enough to fight dandruff and other scalp problems, but it is also gentle enough to be used daily. Its effectiveness is scientifically proven, which enables it to deal with moderate and even severe symptoms. It has some downsides though, just like a normal product in the market. Some may not like its smell, and it may cause some skin problems when exposed to sunlight. Users need to make sure they are following the directions for use to avoid some problems and be able to enjoy a generally good experience. Are you looking for an effective anti-dandruff shampoo that can likewise keep the hair and scalp hydrated? If so, ArtNaturals Dandruff Shampoo may be a good buy for you. It comes with the combination of tar and coal. It contains hydrating all-natural oils including argan and jojo-ba. The essential oil extracts aim to repair split ends and restore dry and damaged hair. It aims to deep-cleanse and heal the scalp at the same time. It aims to cause the skin to shed dead cells. It is formulated to fight dandruff and relieve dry scalp and seborrheic dermatitis. It is formulated to keep the hair shiny while stopping flaking and itching. It provides various benefits for the skin as it treats different scalp and skin conditions. It has the capacity to keep the scalp and hair healthy and beautiful while fighting off different problems. It keeps the scalp and hair hydrated due to its all-natural oils that include argan and jojo-ba. It is safe to use, given that it is cruelty-free. It is powerful enough to treat scalp and skin problems but is likewise gentle. It does not cause hair dryness and damage; it even restores its healthy shine. It repairs split ends too. Aiming to make the scalp shed dead cells, it assures you of a clearer and healthier scalp. It may cause hair loss; make sure to follow directions for use. It may not be suitable for dyed hair. Indeed, ArtNaturals Dandruff Shampoo might just be the best choice for you if you want a product that can deal with various issues and provide numerous positive results. Apart from eliminating dandruff, it can treat other scalp and skin problems while improving the overall appearance of your hair. It can likewise repair damage, which further enhances the health of your hair and scalp. It is gentle and safe to use, and easily rinses as well. The product may have a funky odor, but it comes with a conditioner that could cover up the unpleasant smell. Also, users should be extra careful when using it to avoid adverse effects. This is especially true for those with dyed hair. Searching for an effective anti-dandruff shampoo with mild ingredients? If so, you may want to take a look at Sage Shampoo. It comes with numerous surprising benefits that you may truly enjoy. It is a gentle hypoallergenic shampoo. It is made of organic and mild ingredients. It does not have any harsh contents. It is formulated to fight dandruff and other skin conditions including dermatitis. It uses a synergistic formula that fixes the root causes of dandruff. It produces a spicy aroma. It works with all types of hair. It has the capacity to eliminate dandruff in a natural and easy way. Using a synergistic formula, it is an effective product that has the capacity to deal with a problem’s root cause and consequently solve the entire issue. It is safe to use, given its mild and organic ingredients; it does not contain sulfates or parabens. It does not use cheap chemical alternatives. It suits all hair types (including color-treated hair), making it a great choice for different types of users. Its ingredients even suit vegans. It is effective in fighting dermatitis, thanks to its anti-inflammatory and anti-septic properties. It has the capacity to restore pigmentation to the hair and promote hair growth. It can repair damaged hair. Its spicy aroma provides a therapeutic experience. It may be a bit pricey for some. It may cause dryness; make sure to follow directions for use. At first glance, it may be hard to believe that a dandruff shampoo can come with mild ingredients. But yes, Sage Shampoo does. And what’s remarkable about this product is its capacity to work well with any type of hair and user. And as you have learned, it even fits vegans. Sage Shampoo also has the capacity to solve other skin problems including dermatitis. This is made possible by the synergistic formula that it uses. Moreover, it is hypoallergenic and does not contain harmful chemicals. It likewise gives off a pleasant smell and a spicy aroma that could provide a therapeutic experience. The product may be a bit pricey though. It may also lead to dryness, especially if not properly used. Suffering from tough dandruff? 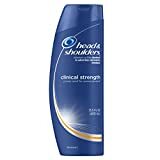 If so, you may want to check Head & Shoulders Clinical Strength Dandruff and Seborrheic Dermatitis Shampoo. Beyond its popular name is its capacity to benefit a lot of users. It suits cases of severe dandruff. It is formulated to relieve itching, flaking, scaling, irritation, and redness linked to dandruff and seborrheic dermatitis. It contains 1% selenium sulfide. It is formulated to work for all hair types including color-treated and chemically processed hair. It is clinically tested and dermatologist-recommended. It does not require a prescription. It works effectively for cases of tough dandruff, thanks to its 1% selenium sulfide content. While it is strong enough to eliminate scalp problems, it does not require a prescription; hence the convenience it provides. Being clinically tested and dermatologist-recommended, users can rely on it. It is gentle and pH balanced, keeping the hair clean, manageable, and flake-free. It moisturizes the hair, from scalp to tip. It works fast; results can be visible after the first use. It may irritate sensitive skin; therefore, you may need to use gloves when applying the shampoo on your hair. It tends to dry out the scalp. Make sure to use the right amount and follow the directions for use. 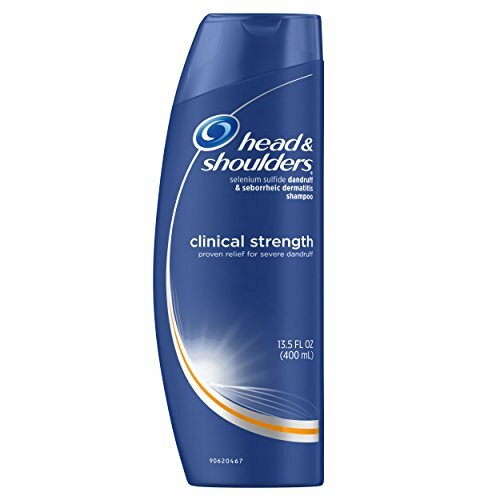 Over the years, Head & Shoulders has remained one of the most popular brands of anti-dandruff shampoo. Being clinically tested and dermatologist-recommended, it is among the most reputable products from which a user may choose from. It provides a lot of benefits, from eliminating dandruff to moisturizing hair. It has a good smell as well. However, the product has a tendency to irritate sensitive skin and dry out the scalp. Make sure to follow the directions for use to avoid these unfavorable happenings. Final Verdict: Which Product is Best for You? Looking closely through these five great products, we can say that each one has its set of remarkable strengths that make it worth trying. But among these brands, we have chosen Maple Holistics Sage Shampoo. Its capacity to use mild ingredients while providing exceptional strength has made it stand out. Another exceptional advantage is the fact that it suits all types of users including vegans. And while the product has its share of disadvantages, those are minor problems that are outweighed by its advantages. Just make sure to properly use it and be in the know of what you really want and need as a user. Also, it pays to be mindful of possible downsides that have yet to be discovered. 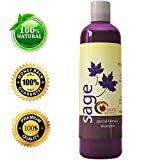 Sage Shampoo is a unique product that could cater a lot of needs. It does not need to have strong ingredients to work effectively.